New Delhi: Saturday morning began and ended very differently than Delhi Chief Minister Arvind Kejriwal had anticipated. Mr Kejriwal and his wife skipped their daily morning walk today and stayed home to watch the assembly elections results on television. The area outside the Aam Aadmi Party chief's Delhi home was decorated with hundreds of saffron, white and green balloons. A huge LED screen showed leads as they came in. Bollywood music composer AR Rahman's popular hit anthem Jai Ho blared from loud speakers. 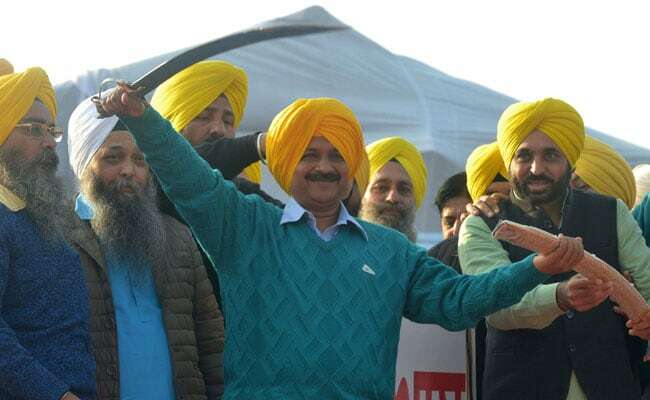 The chief minister - who spent weeks away from Delhi to campaign mostly in Punjab and also in Goa - was, it was clear, preparing for victories in both states. Within two hours, however, the scene was drastically different. Complete silence. AAP has come in a distant second in Punjab and has failed to open its account in Goa. Not a single seat yet. In the words of Punjab Congress chief Amarinder Singh, he was a "summer storm, he came and he's gone." Twitter was quick to troll Mr Kejriwal. Watching democratic elections is our biggest sport.Even as we enjoy the spectacle let's remind ourselves what a blessing&privilege this is.. The question on everyone's mind now: AAP ka kya hoga? Let us know what you think in the comments section below.